The instrument has a built in electronic dewpoint meter, electrochemical oxygen cell and digital flowmeter which allows airflows of up to 600 l/min to be verified. 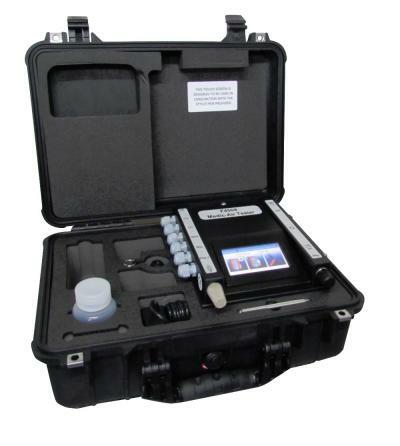 The unit also has test ports calibrated for Draeger chemical reagent tubes / impactor to establish levels of oil, carbon monoxide, carbon dioxide, nitrous fumes, sulphur dioxide and hydrogen sulphide present in the air sample, as well as various easily oxidised compounds via a Polytest. The instrument can store up to 20 test results which can then be downloaded to PC software provided with the unit. Click here for further details.